Google’s Chromecast already has a handful of compatible apps, but the floodgates are about to open: On Monday, Google released a Google Cast SDK for developers to add Chromecast support to their apps and websites. When we reviewed Chromecast shortly after launch, we loved how easy it was to send video from Netflix, YouTube, and whatever was playing in our Google Chrome browser over to the TV via Google’s Chromecast HDMI dongle. 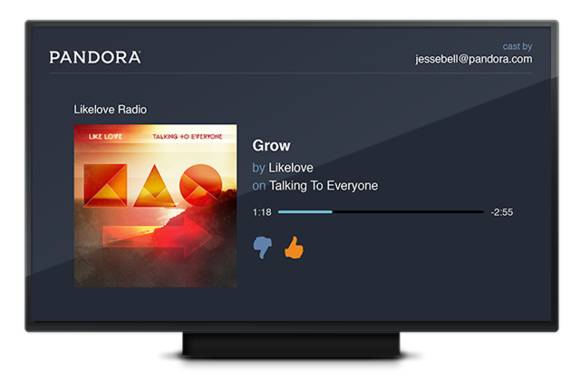 You can already use Pandora with your Chromecast; hopefully this SDK means support will come soon to Spotify, Rdio, Beats Music, and the rest. Since then, Chromecast support has made it to additional apps like Hulu Plus, as well as HBO Go and Pandora. But Google controlled access to the platform, until this public SDK. Tablo, a DVR that records over-the-air TV that you can watch on your tablet or smartphone, told us at CES that they planned to add support for sending that video to the Chromecast as soon as Google released this SDK, for example, and we expect many other apps to follow suit. It looks like the $35 dongle is about to get a lot more valuable, to developers and consumers alike.